Do Bad Haircuts Make You Sick? When a molting canary goes through his annual molt he needs extra attention made to his canary care. ...is not a canary disease, as some people seem to think, but can have a detrimental effect on canary health. It is the natural process of your canary losing and replacing his feathers. The annual molt occurs once per year--beginning at the height of summer when daylight reaches 12 to 14 hours per day--and lasts about 2 or 3 months...sometimes longer. This is why it is important to cover your canary’s cage at sundown in the winter...too many daylight hours may result in an off-season “soft” or “shock” moult. Another opportunity for your canary to have a decreased immunity to illness. “are triggered by extreme environmental factors, such as excessively high or low temperatures, sudden temperature changes, shock, disease, or fear--all of which cause stress and upset the normal metabolism of the bird”. 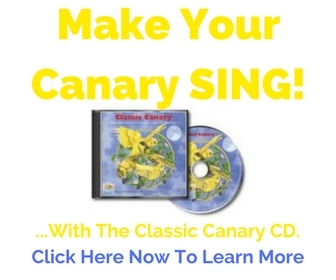 "The Canary Handbook" by Mathew M. Vriends...Click here for more. If your canary is getting the correct number of daylight hours but is in a cool environment, it may decrease his ability to molt properly. Don't be afraid to let your canarys environment, in the summer, reach into the 80s to even 90s degree Fahrenheit levels. slow his singing or stop completely during this time. listless. Molting takes a lot of energy. In addition to his usual diet a molting canary should be given a molting supplement to get him through this stressful time. This is a food supplement that will help insure that your molting canary is getting plenty of protein, of which the canary feathers contain 88%, and other nutrients for conditioning feathers and enhancing color. Molting is the process of a bird losing his old feathers from last year and growing new feathers for this year. Canaries and other birds don't grow feathers like you and I grow our hair. It's not a regular ongoing process. Instead, canaries grow out all their feather at one time each year. By the end of that year, a bird's feathers can be pretty ratty, damaged, and dirty. So, a brand new set is needed. How Often and When Do Canaries Molt? Canaries molt once per year starting at the height of summer, around the first of July (or January in the southern hemisphere). The one time annual molt lasts about 2 to 3 months. The molt is triggered by the long summer days which start getting shorter after the summer solstice. Make sure you are covering your canary's cage at sundown and uncovering at sunrise to give your pet canary the most natural amount of daylight hours throughout the year. What Should I Expect During The Molt? Your male canary will likely stop singing during this time and become listless and quiet. You'll see lots of feathers scattered at the bottom of the cage and on the outside of the cages as well. Your canary will spend a lot of time preening his feathers, scratching, and fluffing up his feathers to relieve itching. What Should I Do For My Molting Canary? Canary Tips! -- Read what some have to say...Click here. Sign up here...sign up now...It's FREE. Have you read about the dreaded canary belly-ache yet? Click here to learn about digestion problems in pet birds. Return from Molting Canary to Canary Disease Main Page.